If you or your child has Celiac Disease or another medical diagnosis requiring a special diet, don’t forget to talk to your accountant about deducting the extra expenses related to gluten-free products or other specially-purchased items. Get more general information about the medical deduction in this article from Turbo Tax. The IRS allows you to deduct qualified medical expenses that exceed 7.5% of your adjusted gross income for 2017 and 2018. Beginning Jan. 1, 2019, all taxpayers may deduct only the amount of the total unreimbursed allowable medical care expenses for the year that exceeds 10% of their adjusted gross income. If your total medical expenses for the year meet the required percentage of your adjusted gross income, you may be able to deduct the difference in cost between “regular” food products and gluten-free alternatives, as well as the total cost of items that would not be purchased at all if not for the gluten-free diet (such as xanthan gum or sorghum flour, for example), and shipping costs. When looking at total medical expenses, be sure to include doctor and Rx co-pays, insurance, dental, medical mileage and other expenses that could be used. 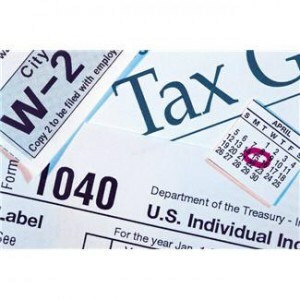 Be sure to consult a tax professional about your tax deductions for Celiac Disease costs and tax write-offs for a gluten free diet or other medically necessary diet. 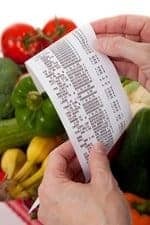 Individuals diagnosed with Celiac Disease may be able to receive tax deductions for expenses associated with gluten-free foods and products. However, there are a few catches to obtaining them. Request an official, written celiac diagnosis from your doctor. This entry was posted in Articles, G-Free Foodie Guides, KC's Blog and tagged celiac, celiac health, celiac tax deductions, celiac taxes, g-free diet, gluten free guide, gluten free guide for tax deductions, gluten free health, gluten free parent, gluten free tax deduction, gluten free write off. Bookmark the permalink. Thanks for posting this. My Dad was Celiac Disease 10 years ago and it has been a struggle to not only find gluten-free food, but to be able to afford it as well. I&apos;m definitely going to tell my folks about this info. I tried this last year for my children who are both gluten & dairy-free. I deducted the additional food cost, mileage to their therapies, etc. and still came out better taking the standard deduction. It was a waste of many hours of tracking mileage and food costs in excel. Unless you have a lot of medical bills, it&apos;s probably easiest to just take the standard deduction and still come out ahead of itemizing these thing. My mom is celiac and I am gluten-intolerant. Can this be used for gluten-intolerance as well? Thanks! As long as there is a doctor&apos;s diagnosis, yes.